Corsicana, Texas--not exactly a "vacation destination" when visiting the Lone Star state. 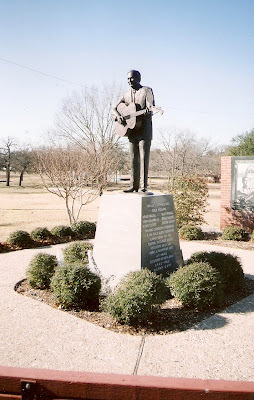 But I decided to stop off in this small town to check out the statue of Lefty Frizzell. I had spent Christmas in Dallas that year and took the back roads between Big D and Beaumont. Unfortunately, the museum was closed due to the holiday so I didn't get to poke around in there. 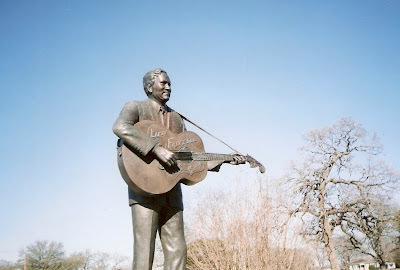 So I just took a couple of pics of the Lefty Frizzell statue and went on my way.